The software ALE Advanced Land Editor is used by civil engineers, geologist and surveyors to perform the detail design of roads, open-pit mining, dams, garbage dumps, land rehabilitation, civil general design and so on. ALE (Advanced Land Editor) is a powerful software to help civil design. It is developed from 2000 and now at its revision 4. The ALE engine works by a 3D ground Modeler. Simple buildings are added both as a reference and visual evaluation of the general project. The program engine performs the complete land design and automatically makes the calculation of the cut and fill volumes inside a bounded area. 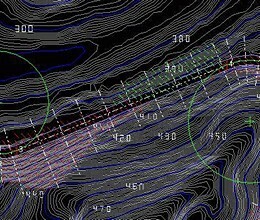 The computation of digging and filling volumes may be performed by two different methods. 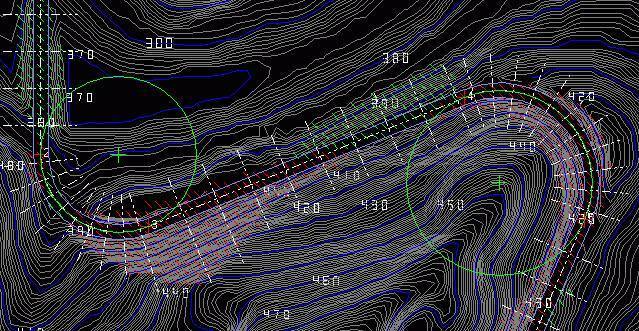 The result of the calculation, the detail report, the cross sections and the contour map are all available in real time. If requested, ALE automatically modifies the project to balance the cut and fill volumes. * ALE Advanced Land Editor download link provides demo version of the software. No one has rated ALE Advanced Land Editor yet. Be the first to rate this product.